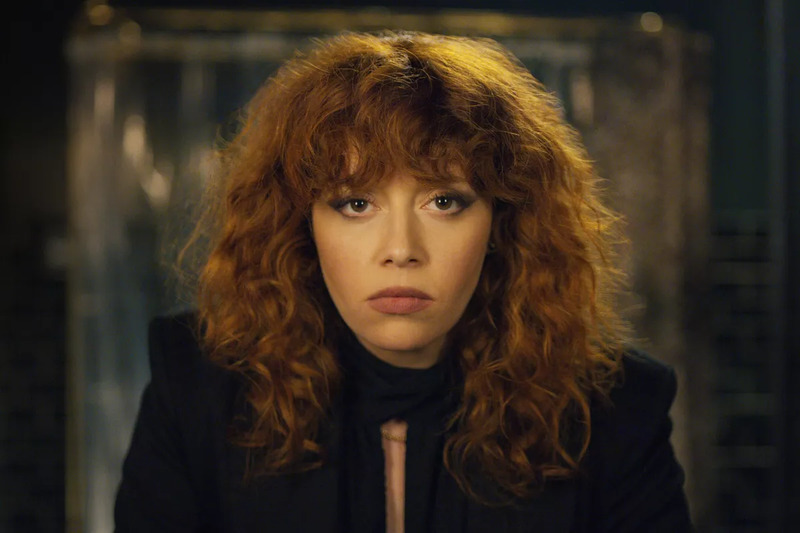 Nadia Vulvokov (Natasha Lyonne)—it’s like “Volvo,” but “with more letters and dyslexic”—wants little to do with her own birthday party. With a sigh, she exits her friend Maxine’s (Greta Lee) bathroom and enters the party. She does not mingle with her guests or accept any attention. She just smokes a joint with Maxine and picks up some schlubby academic type named Mike (Jeremy Bobb) for a one-night stand. The black and white cold open to AMC’s Breaking Bad spinoff shows Bob Odenkirk’s seedy lawyer Saul Goodman sadly working the Cinnabon counter in a mall, sporting large glasses and a mean ‘stache. Saul is on edge, paranoid about an intimidating person in the store. At his home, he drinks scotch and anxiously looks out the window. Saul pulls out an old VHS tape and pops it in to the television. The tape is a series of ad spots from his old profession. He watches the tape glumly until it cuts away to the title card. And that’s it. The first scene Breaking Bad fans get after a year of withdrawal from the mythos they fell in love with. It is simple but all too gratifying. The Spoils of Babylon is an epic miniseries crafted by genius multi-hyphenate Eric Jonrosh. It tells the profound story of Devon Morehouse (Tobey Maguire) as he stumbles through the trials of war, corrupt big business, drug use, and love.